Are you missing some straps, need some extras for your kit, now is your chance. What you see is what you will get. Allows the wearer to selectively transfer some or all of the weight of their armor vest to their hips. All shirts appear unused but there are no tags so we can't know for sure, expect a shirt that shows no signs of use but was in storage. Pictures are of one of the shirts for sale here so you can see condition. We also show one tag for buyers benefit. Glenn's Army Surplus found just a few Field Shirts and Pants, each sold separately, make your selection from the drop down options menu. Glenn's Army Surplus bought a small lot of these current issue T shirts for the OCP & Multicam Uniforms. They are factory over-runs, NO flaws. Grab one while they last! Glenn's Army Surplus JUST lowered the price on these more than 50% off our already low prices, great deal, once gone/gone for good! Glenn's Army Surplus just lowered the price to 50% off his already low prices. Great deal while it lasts! It's hot in the desert! 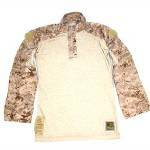 Grab one of the two available army surplus combat shirts with sleeves cut off for a highly discounted price. 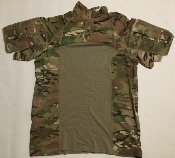 Pictures are of one of the two shirts available here. 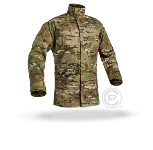 Glenn's Army Surplus has ONE of these only, in size Extra-Small/Regular at a greatly discounted price. Grab it while it lasts! Glenn's pictures show an Army Surplus USED set so you can see what to expect, but see shopping cart as their are brand new sets also! 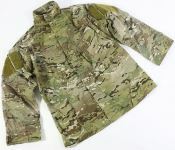 Price newly reduced AND we are throwing in a FREE Multicam Army Combat Shirt with each pair bought!